You should be able to make at least 4 accessories containing a UK phone number (more for most other countries). Up to 12 bracelets and 3 keyrings from each box. Hours of fun awaits you and your little Treasures. 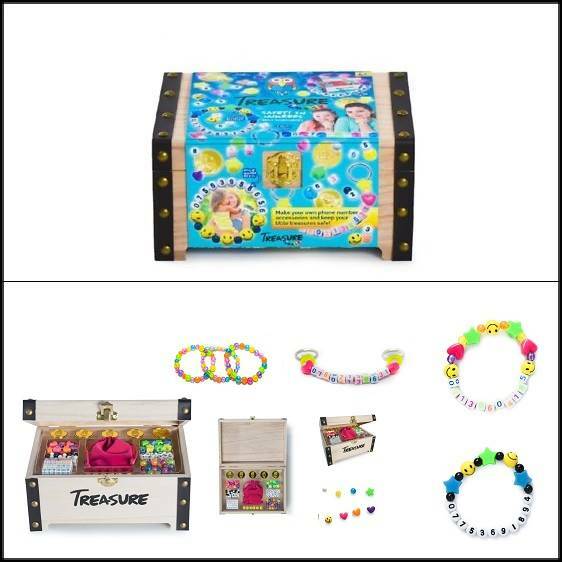 Unplug your devices, make memories and stay safe with your very own Treasure box to keep on your shelf for years to come! Not suitable for children under 3 years, due to small parts being a choking hazard. Manufacturers recommend age 6 plus and always have an adult help with using scissors.